Another year, another Overwatch Summer Games event. If you know anything about Overwatch, you know that its fans are almost always ravenous for new skins —from the most common to legendary. With each event that happens in Overwatch, fans are treated to brand new skins for (hopefully) their favorite characters. Not every character gets a new skin with each new event, but at least a few do each time. This year is no different with multiple legendary skins and few epic ones rounding out the crew of heroes. 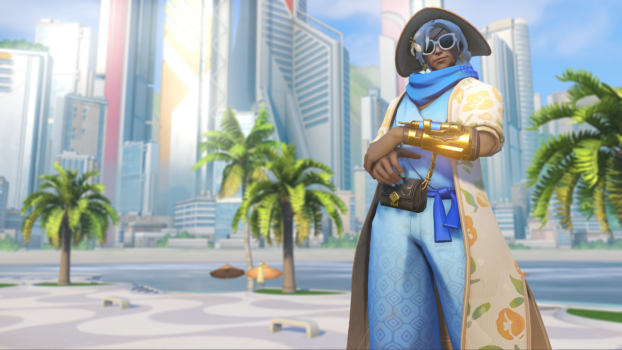 Below, we have all of the new Overwatch Summer Games 2018 event skins. But before we jump into a look at the skins, let’s talk about the Overwatch Summer Games. For those unfamiliar, it’s basically, like most Overwatch events, a way for players to obtain new skins, icons, highlight intros, victory poses, emotes and more. With over 200 cosmetic items available in this year’s Summer Games, it’s one of the game’s most cosmetic-packed events yet. In the Summer Games, players can compete in a number of event-specific modes such as Lucio Ball (which is basically Rocket League but instead of a car, you’re Lucio — sounds weird, but it totally works). Three wins in these event-specific modes gets you a Summer Games loot box. Open it up and you’re guaranteed to get at least one event-specific item. Hopefully, you get more than just one, but it’s random so you never know. You can get up to three of these loot boxes a week (9 wins a week). In the meantime, you can still play standard Overwatch game modes like Casual or Competitive, but you won’t be earning New Summer Games 2018 Event Skins loot boxes. You can, though, earn standard loot boxes by leveling up in these modes, per usual. 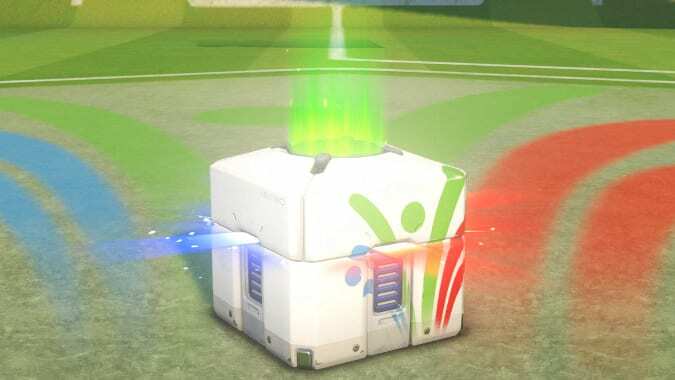 While there are over 200 new cosmetic items available as as result of the 2018 Summer Games in Overwatch, all items from Summers Games in past years will be available in loot boxes as well.